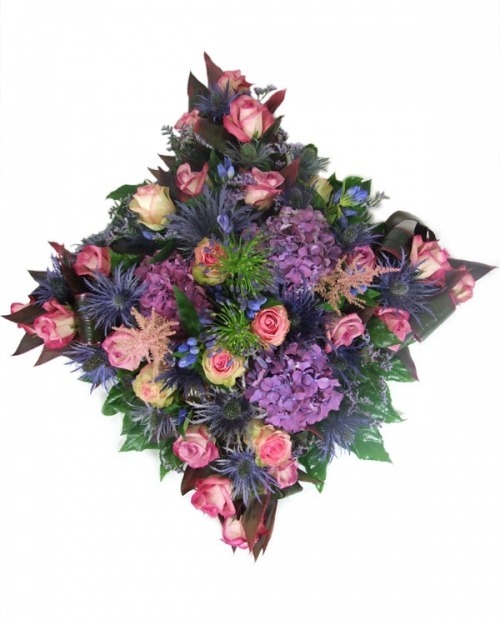 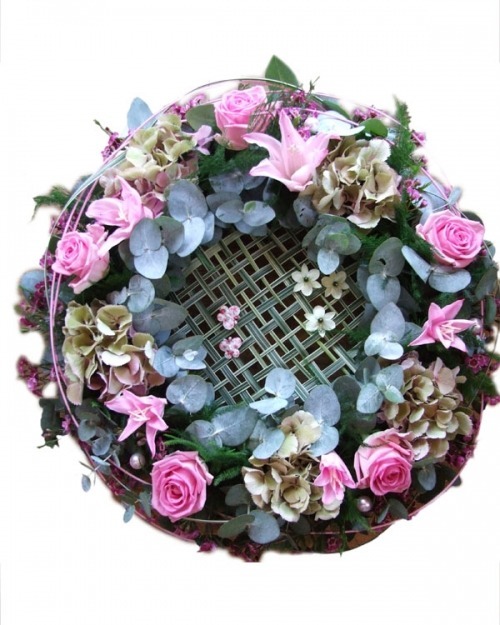 A Summer pillow shaped tribute A beautiful cushion of soft Summer blossoms in shades of china blue, lilac and pink. 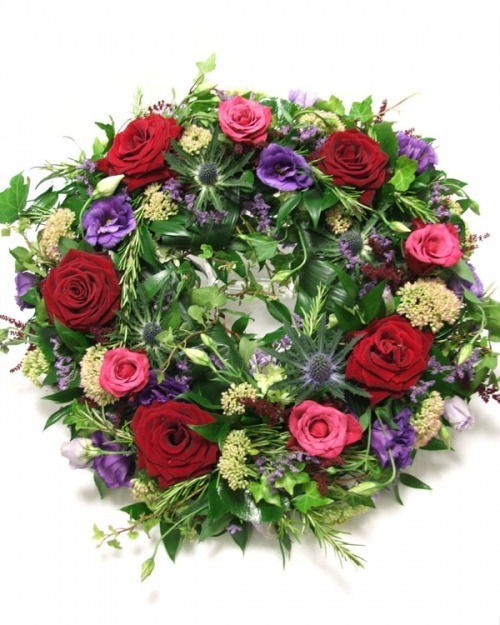 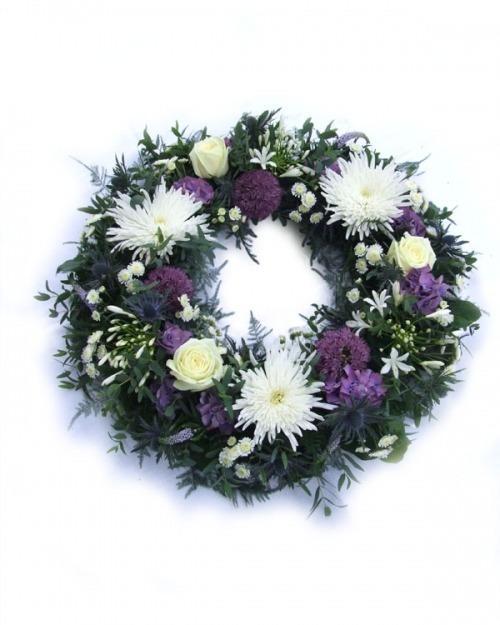 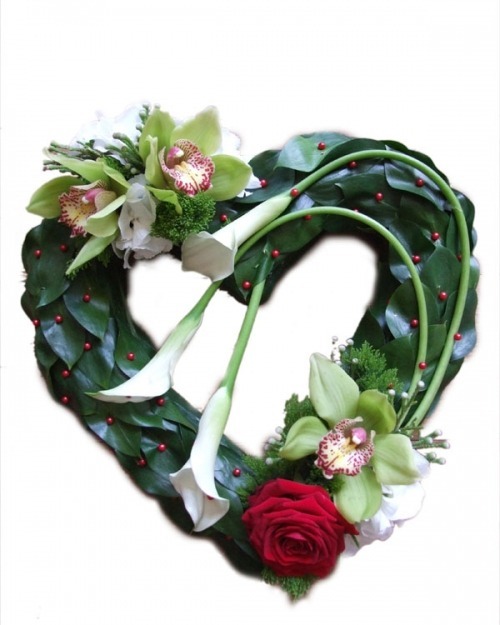 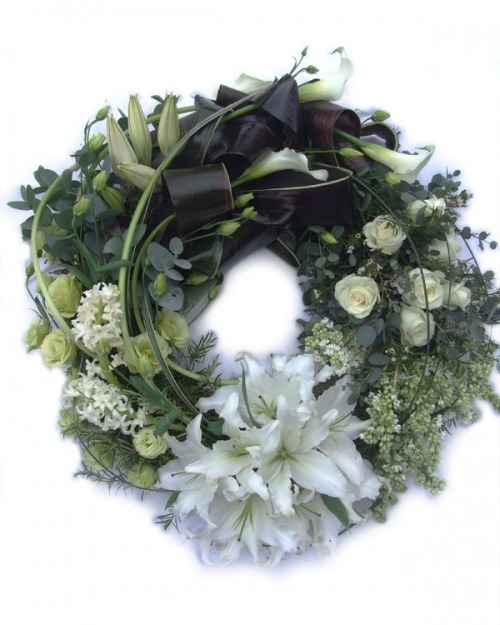 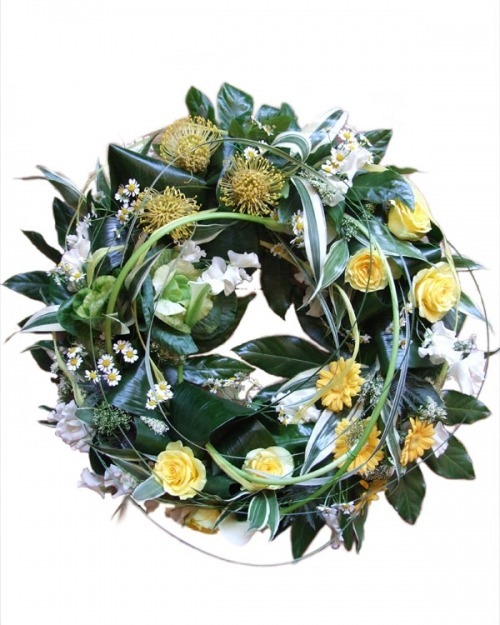 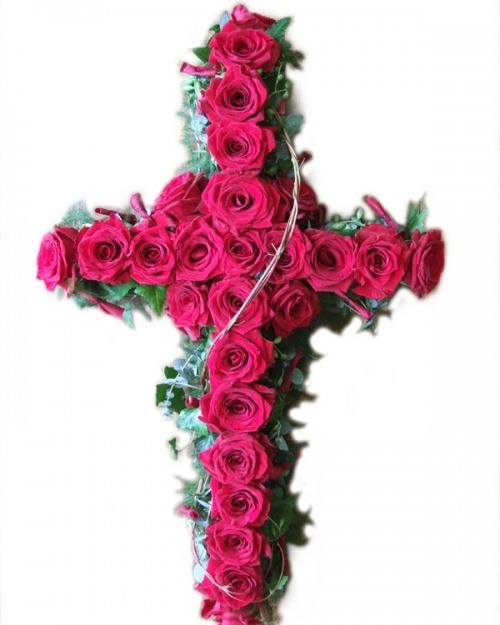 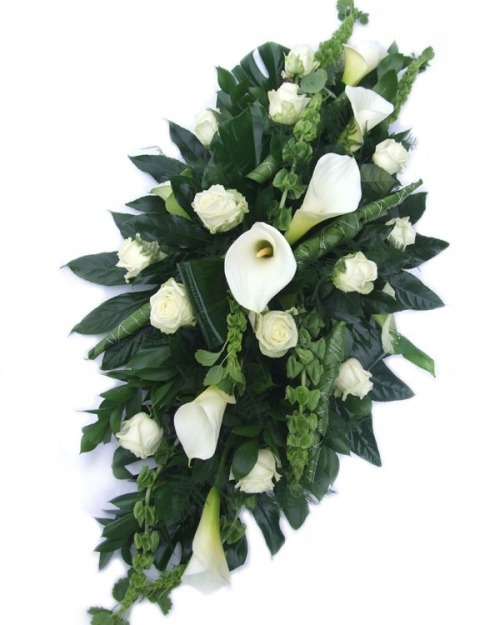 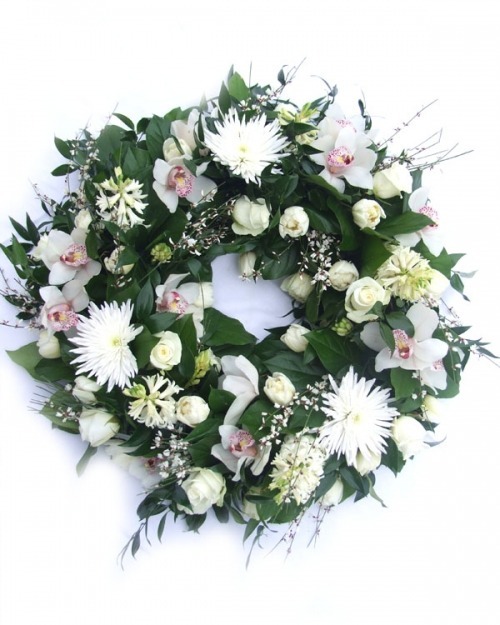 This shape is gaining popularity over the more traditional circular wreath. 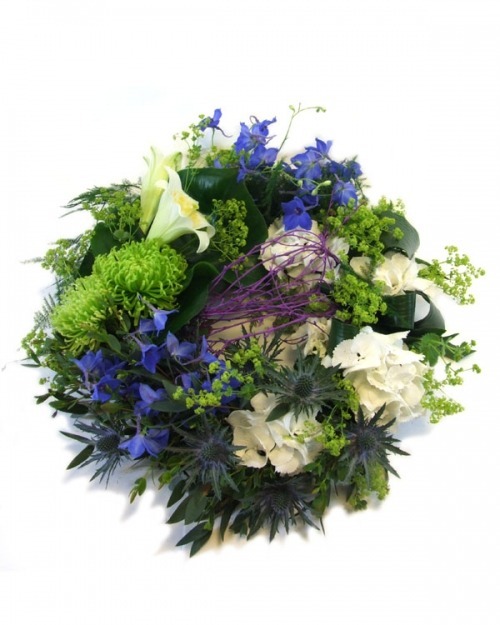 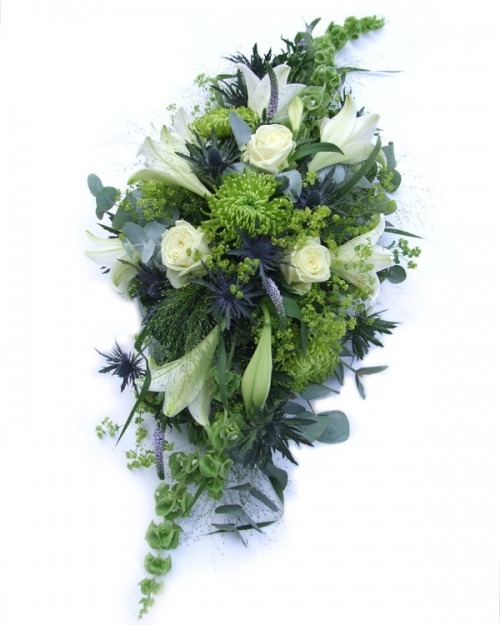 Our designers can of course substitute colours as you like.